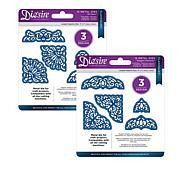 Create beautiful three dimensional projects with these high quality, innovative metal dies brought to you by Crafter's Companion. 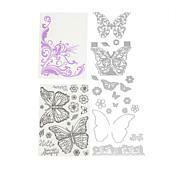 Use in conjunction with the decorative panel dies and detailed clear stamps for truly customized large ornamental boxes. 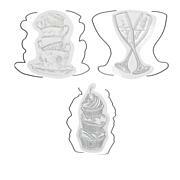 I've used these dies and stamps now a few times and the boxes always come out looking very professional. The only change I made to the instructions is to cut 2 pieces for the bottom. The first bottom piece. goes inside the box onto the bottom flaps. The second piece covers the flaps on the outside . A wonderful die set by a wonderful company! You always get only the best from Crafter's Companion products! 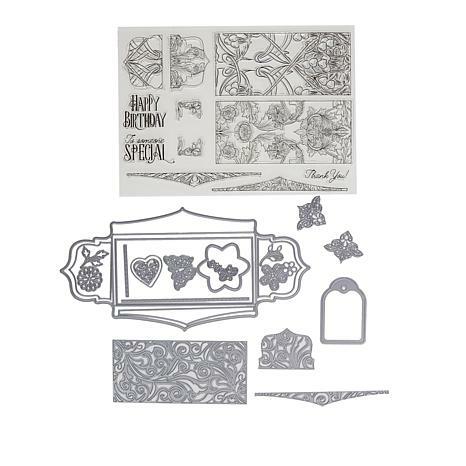 I am so excited to have the Ornamental Box Stamps and dies. The possibilities are unlimited! Great dies!